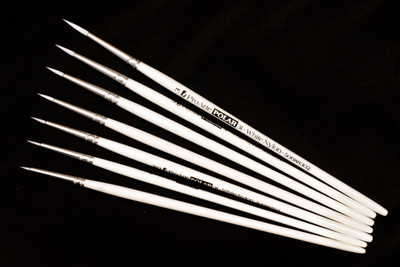 Our brushes come in 3 main materials: Our lowest priced range is the the nylon range, which are ideal for acrylics or as a general purpose brush. 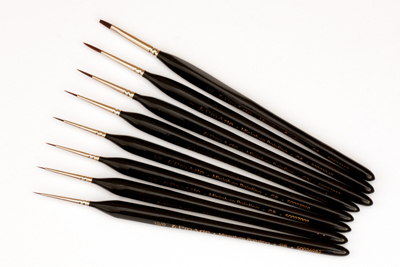 At the other end we have the Sable brushes which are particulary good for water colours and oils. Inbetween we have the MP range. 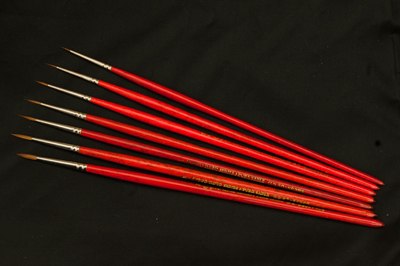 These have a synthetic element which provides a responsive tip for fine detail with a triangular grip handle to aid holding precision. 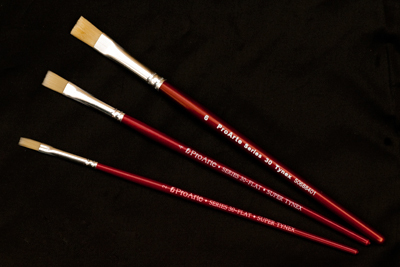 All brush handles are made from wood. 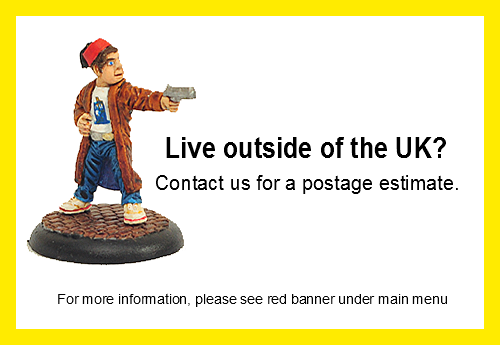 SAVE 10% when you buy all in the MP range!! SAVE 10% when you buy all in the Sable range!! SAVE 10% when you buy all in the Nylon range!! SAVE 10% when you buy all in the Nylon FLAT range! !